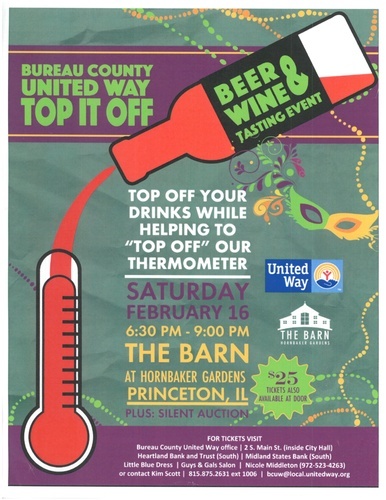 The Bureau County United Way will be hosting their 3rd Annual "Top It Off" Beer and Wine Tasting! Come join us for our biggest event of the year! Proceeds benefit the 14 local health and human services agencies that provide services to Bureau County.